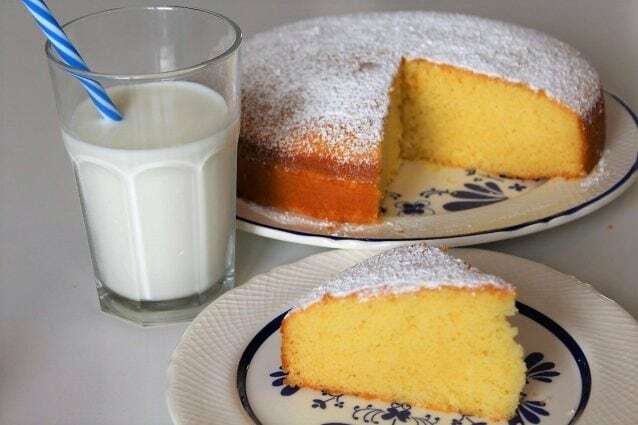 The hot milk sponge cake, is a tall, fluffy and delicate cake, made with simple ingredients such as eggs, butter, and hot milk added just to get a dough that, when cooked, becomes very soft. This dessert is ideal to fill, it can be cut into layers like sponge cake and it can be decorated with whipped cream or other types of creams. Great for breakfast or snack, once tried you will really love it; it is a perfect dessert for its simplicity, easy to prepare and with a good scent of milk, that will put everyone in a good mood! 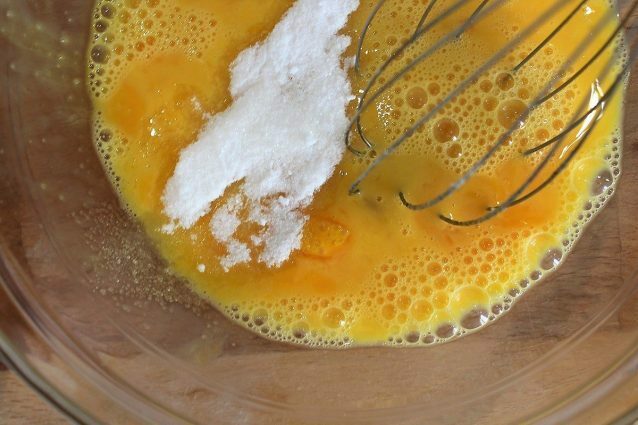 Beat the eggs with the electric whisks (1) adding a pinch of salt, then gradually add also the sugar (2), continuing to whip the mixture until it becomes puffy and foamy (3) (it will take about 15 minutes). At this point, with the help of a spatula, add the flour sifted with the yeast to the dough, making a movement from top to bottom to prevent it from collapsing (4). 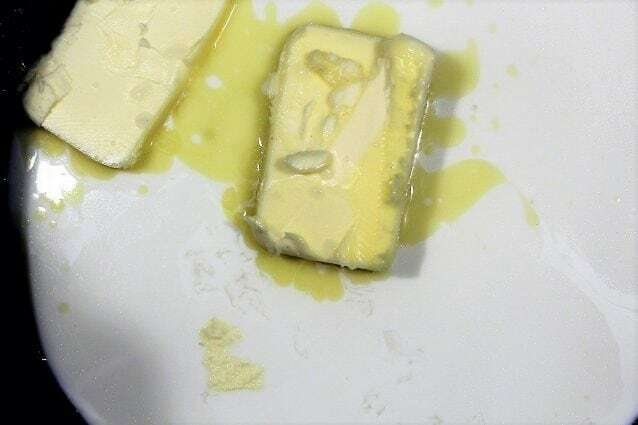 In a saucepan, heat the milk with the butter and the vanillin, but without boiling it (5). 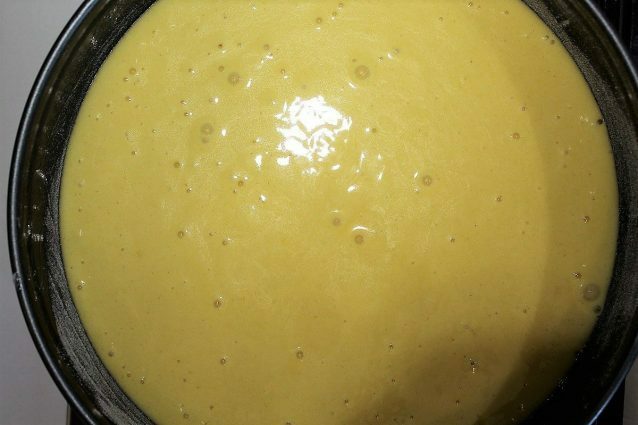 Then remove it from the heat and add a tablespoon of dough to hot milk (6), blend and then gently add everything to the dough, amalgamating all the ingredients. Pour the mixture into a round mold that can be opened, and that you have previously greased and floured (7). Bake it at 170 degrees for 40 minutes. Once you have taken the cake out of the oven (8), let it cool well before removing it from the mold. 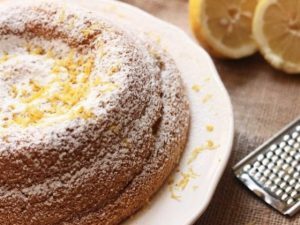 Sprinkle the hot milk cake with confectioner’s sugar and serve it into slices (9). You can stuff the cake with chantilly cream and strawberries, or with whipped cream and Nutella. For an even softer dough (if it were ever possible), add 100g of fresh ricotta cheese, or 100g of yogurt. I suggest you to utilize fresh milk. In case of lactose intolerance, you can use soy milk. You can preserve the hot milk cake under a glass bell for 3 days.